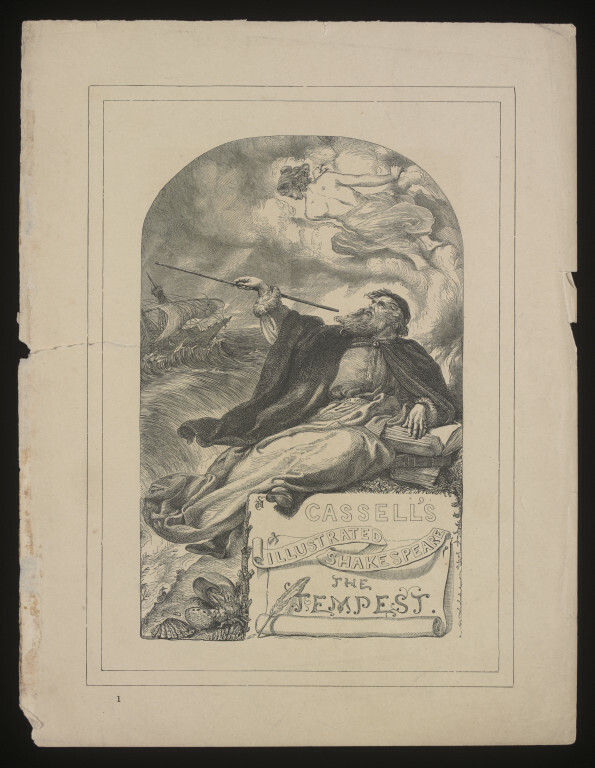 Front cover from an edition of 'Cassell's Illustrated Shakespeare' for <i>The Tempest</i> by William Shakespeare (1564-1616). The engraving shows Prospero and Ariel, it was drawn by the artist Henry Courtney Selous (1803 - 1890), but was engraved by William James Linton (1812-1897). Cassell's Illustrated Shakespeare: The Plays of Shakespeare were edited and annotated by Charles and Mary Cowden Clarke. Charles Cowden Clarke, 1787 1877, and Mary Cowden Clarke, 1809 1898, were English authors and Shakespearian scholars. The complete set comprised three volumes of books which were illustrated by the artist Henry Courtney Selous (1803 - 1890). The volumes were published between 1860 and 1890. 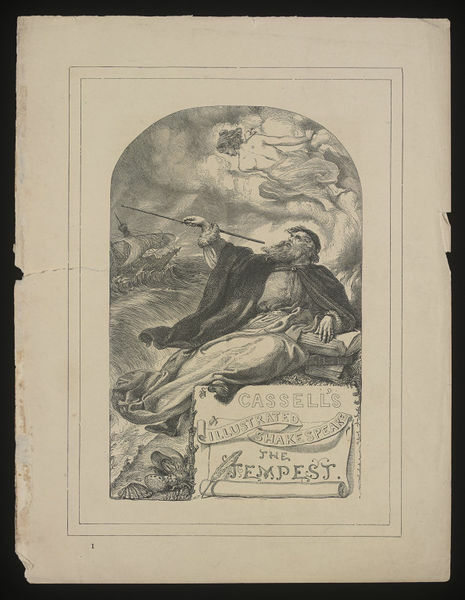 Front cover from an edition of 'Cassell's Illustrated Shakespeare' for The Tempest by William Shakespeare (1564-1616). 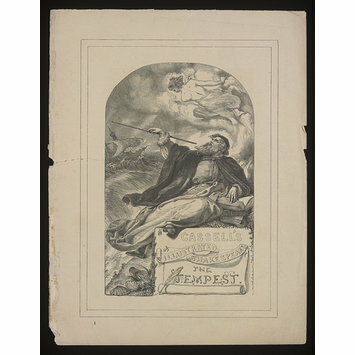 The engraved image shows Prospero and Ariel against a backdrop of a stormy sea. It was drawn by the artist Henry Courtney Selous (1803 - 1890), and was engraved, and signed by William James Linton (1812-1897). Given to the British Theatre Museum Association by Mrs Race in March 1963.